Around this time of the year, most people think about “old and new”. Obviously, this idea of “old and new” can, and is, interpreted broadly and widely…….and sometimes, it stretch extremely wide and broad, as it is a larger-than-life kind of thing. As for myself, I always be delightful to take this into my narcissistic perspective of ‘old and new’, which derived from month-of-birth, January. Within my knowledge, the name ‘January’ came out the Greek ancient god, Janus. The personification of this Greek deity is a male figure with two faces one opposites the other. One is facing forward and the other is facing backward. Another narcissistic piece of me about ‘old and new’ also came out from my name, James. It’s English version of Jacob (in Hebrew), which means ‘he who supplant” or ‘he who replace the former’. Janus, January, James and Jacob…they composite one central idea, what is carried from the former the next, from the past to the future, from backward to forward……I see all of them in two words: change and legacy. I’ve discussed about ‘change’ in the whole course of this blog, so this time I’ll guess it will be fun to play more with ‘legacy’. In the last few days, I’ve encountered two subjects on the idea of ‘legacy’: Surabaya’s Klentheng Kampung Dukuh (Dukuh Chinese temple, also known as Klentheng Hong Tiek Hian) and Tron: Legacy. Let’s talk about Tron: Legacy first. As most of you already know, Tron: Legacy is a Disney movie. It’s an entertaining movie, personally speaking. Entertaining is my word for it, as I like visualization of tech-related fantasy with a fancy-spirituality touch in here and there. I find the Grid, the lightcycles, and all the actions as visually amusing. I also like the spirituality of ‘we can’t create the perfect system’, which some of my friends find that as obscure. In short, for me it was satisfying. I’m not going to discuss the mixed reviews Tron: Legacy is getting. What I find as prominent is the word ‘legacy’ here. Obviously, the movie is about Kevin Flynn’s legacy, particularly in his relation with his son, Sam. At the end of the movie, Kevin, and the Grid he created, were dissolved. But, Sam return to earthly reality with Quorra; his father’s most precious discovery, and closest confidante whom his father treated like his own daughter. It’s interesting to see that the legacy was not emphasized on the machine, software or technology; but a reunion and a living person out of a computer creation. Kevin’s story came to an end, but his legacy is was far greater as Sam return as a totally different person, along with a living lovely legacy (thanks to Olivia Wilde 😉 ). The legacy took form as emotional experience and living creation. The next thing is not movie, but a historical building: Klentheng Kampung Dukuh of Surabaya. Klentheng, or traditional Chinese temple, is basically a place for traditional memorial and worship of Chinese deities. It’s not necessary a religion, I think; since most of the deities were actually historical figure (mostly sages and patriots) who were memorized and worship for their good deed. As history moves on, I’m assuming, most Chinese people who go there just worship them and not really know the stories of each deity. One of the interesting sight was the klentheng‘s greasy but fascinating building and its potehi puppet show. They perform the puppet show everyday, telling stories of the legendary sages and patriots who then became deities; albeit no audience are attending. Why they do that? I think it’s more about preserving the spirit of tradition of narrative storytelling. If you come to the building, then you will find that it is not merely a building. 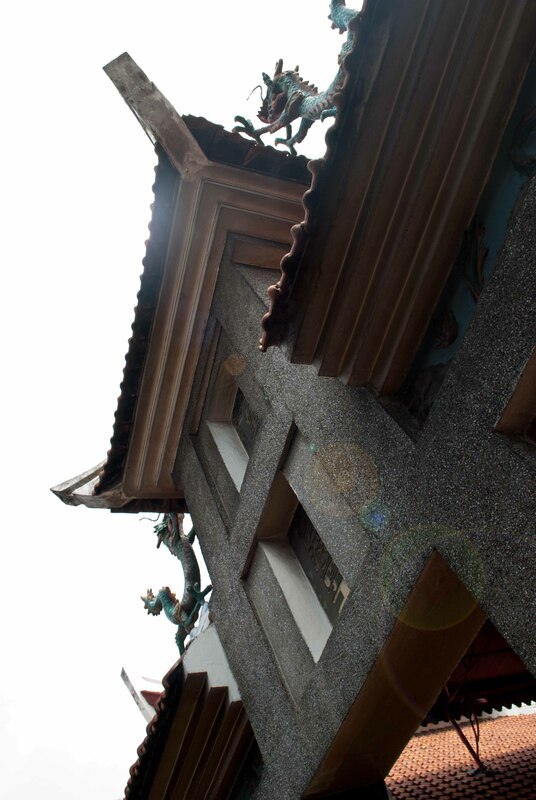 It is a Chinese cultural building that has thrived for centuries. The building has its own way to show how it has been tampered by time; and how this building hosted historical events of the community where it belongs. The building details also tells us many architectural and cultural values dwelling within the history of people who built the building, and those who continue preserving it. Klentheng Kampung Dukuh is not merely an old building. It is a spatial storytelling. It tells us the stories about of its people for centuries. The silent building is a living trace of a particular community in a particular part of the city. It tells their story about how they live, and it stays there to tell the story for the next generation to come. Will the new generation continue the tradition just like the way their parents do? I doubt that. But, I’m sure the new generation will carry on the story to the next, because they connect with the living story through events they have experienced in the klentheng. The building represents the stories, and it stays to remind the new generation about those stories. People can forget what they have been told, but they can’t undone or erase what they had experienced. Through experiences, those stories resonate strongly in people’s mind. 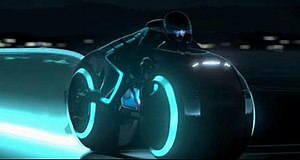 Tron: Legacy, though it was a CGI-fantasy, is a plain and simple story about a father who reunite with his son before his end, a son which move forward with someone who was special for him and his father. The son (Sam) did not carry any part of the Grid realm his father had created, but it doesn’t matter. He himself is the most essential part of his father life achievement, along with his father’s most adored creation: Quorra, a living being. Their life is the father’s story in the flesh. Both of them is the extra-ordinary legacy of an extra-ordinary person. Stories can become tradition. They can also become controversy. Some stories become cult and religions. Some other are contested over time. No matter in what ways people response to them, they stay. Legacy is what defined genuine visionary. A visionary without capability is not really a visionary, and that capability proven through the legacy a visionary can deliver for the new generation. Those who has gone along with their story is not a visionary. Real visionaries are those who determine the course of history. Just like other elements of history, their greatest remnants is their living stories. Visionaries passed away, as anybody else. But their stories grow greater, resonate in people’s experience through buildings and other artifacts. They left us living stories as their legacy. Legacy taught us that some changed, and some others stay the same…..Legacy taught us that in all changes we live through, there are bits and pieces of the past that propel us to the future….and those bits and pieces, in whatever forms they turn into, define our legacy….. So, at this wonderful moment of the year, right at the end of the year and the beginning of another………I invite you to be a visionary! I’m not asking you to change the history of civilization. 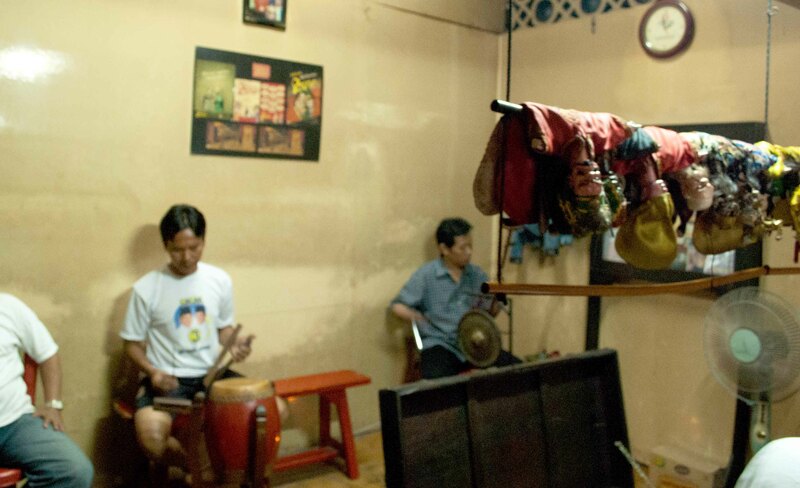 Just think about your community, like the people of Klentheng Kampung Dukuh have done so far. Just think about your loved ones, just like Kevin Flynn did in Tron: Legacy. Live your story with them, and be that legacy! Happy New Year! Next2011: Waktunya mencoba model baru family business?